Carving pumpkins for Halloween is a great opportunity to teach children how to use tools and utensils. 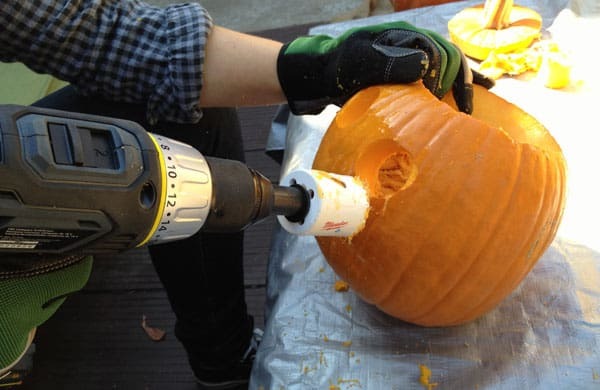 Knives, spoons, saws and maybe even some power tools, can all be introduced to your child while you carve your pumpkin. Use your judgement as to what tools are appropriate for your child’s age but any toddler can scoop pumpkin seeds. Kids of any age can scoop out pumpkins with a spoon. They’ll love getting sticky and dirty (or most will). Small carving knives are a great first step for teaching children to use sharp utensils. Pumpkins are forgiving and offer just enough resistance to cut against but not too much that they can slice too easily through. 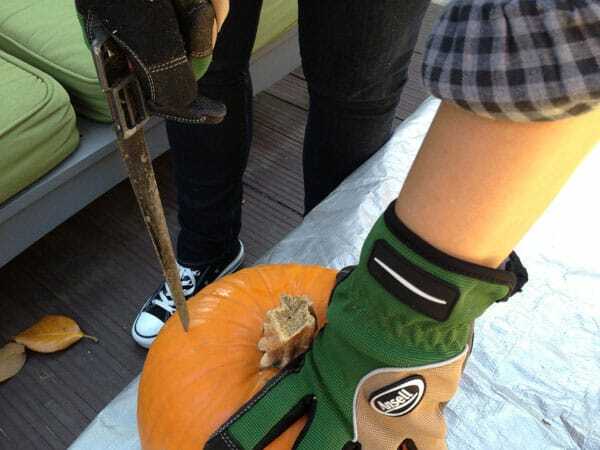 Hand saws with a small tooth wood blade are handy for making larger cuts in a pumpkin or removing the top. Children can put press their fingers against the teeth without cutting themselves to feel it. They also learn to use a saw by making a cut with a back and forth motion. Older kids can try a jigsaw for the first time by plunging it into the top of a pumpkin and turning the pumpkin to remove the top. It’s an easy introduction to a common household power tool. These tools are becoming much more popular and are very safe to use. 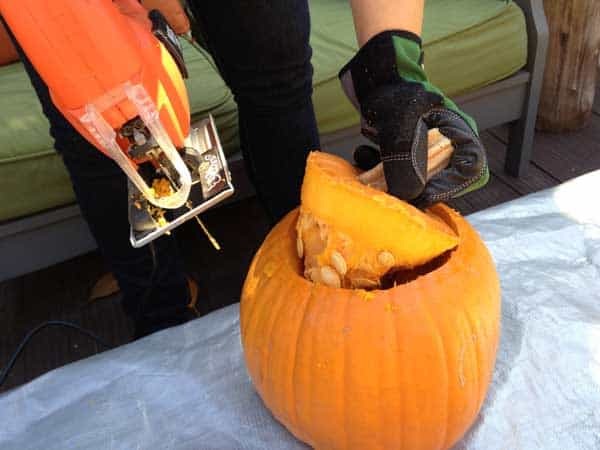 You’ve got a variety of attachments made for sawing, cutting and scraping and all of the can be used to creatively carve a pumpkin. 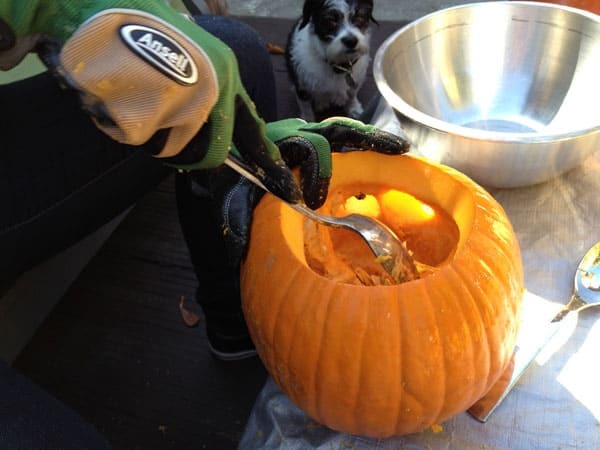 The cutting tool is great for making mouths and the scraping tool makes clean work of the junk attached to a pumpkin top. 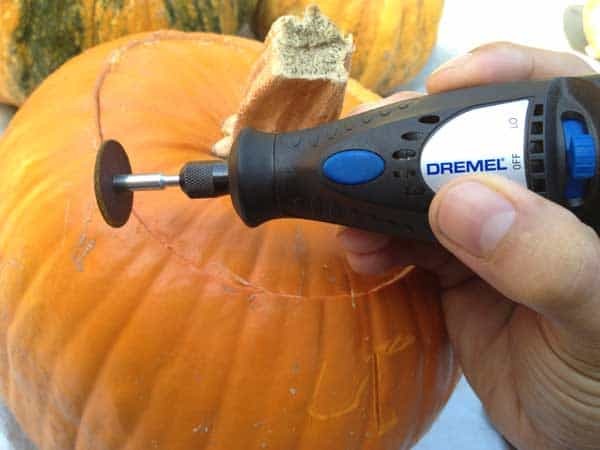 A dremel tool can create very detailed designs and under proper supervision is a fun tool for children to carve a pumpkin with. 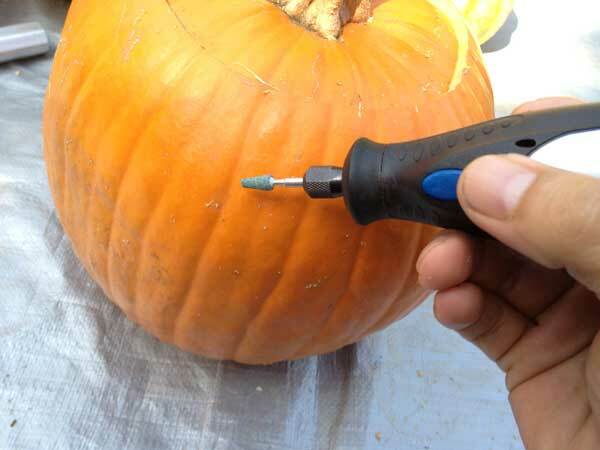 It’s also a great time to practice using the Dremel which can be unforgiving with wood but if you mess up a pumpkin you can always start over. Try the various attachments that all Dremel tools come with for different and fun effects. 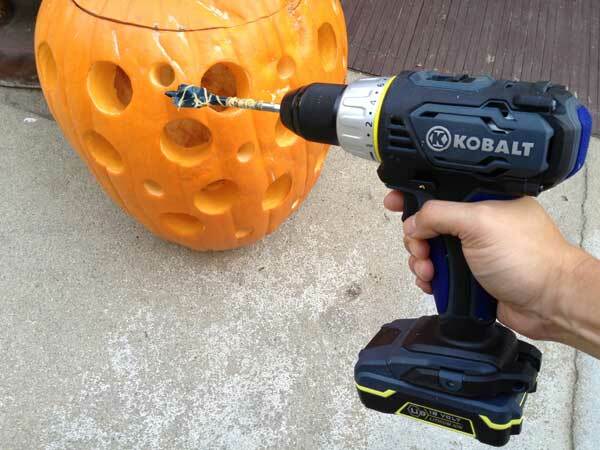 We’d only suggest using a drill with older children who have used one before. Hands must be kept very far from drill bits. 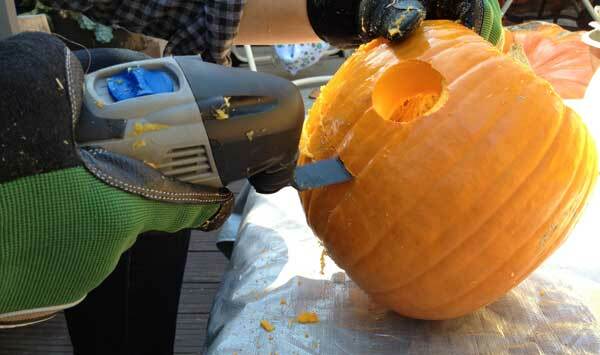 A hole saw makes perfect cut eyes and spade bits of various sizes can also be used in pumpkin design. 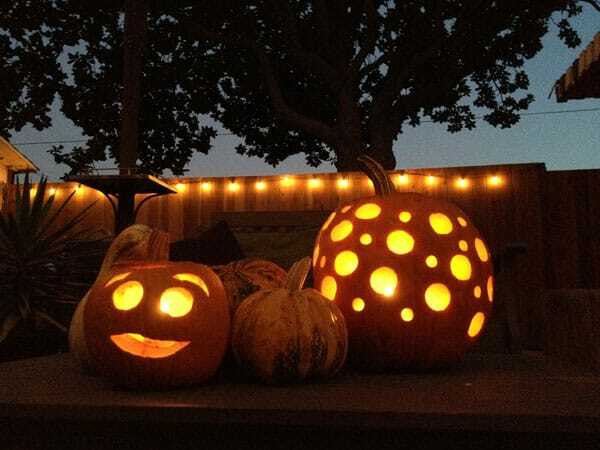 What tools do you and your children use to carve your pumpkins? Have you considered power tools?